Yeah, the panda is back to writing! (Well, at least for 2 article this month) And with what? Well, I’m gonna do February BotM and Featured band. So, wanna know which bands I chose? Well, since this is the featured band section, (and since the name of the band is in the title, you may have a few clues right now) let’s go with the February’s Muses of Metal’s Featured Band! 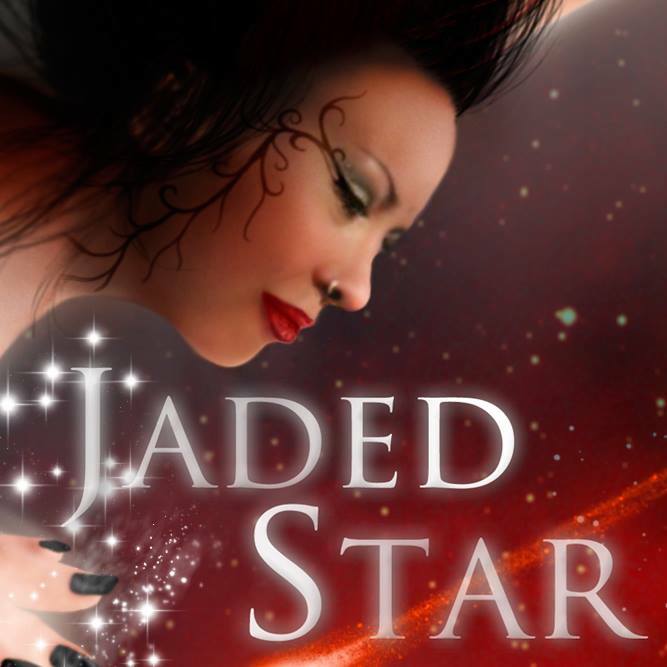 But who are Jaded Star, well, from what you already read, you must have guess Maxi Nil is in the band. So let me reassure you, you’re not going crazy, Maxi is in. But who are the others? Well, there’s Kosta Vreto at the guitar, you may know him from Kosta Vreto (yeah, you could have found this one by yourself), or Wardrum, then you have Babis Nikou at the bass, you may know him from Astral DNA, or Διά Μαγείας or with an azerty keyboard, Diá Mageías. And last but not the least, Raphael Saini as drummer, you may know him from Iced Earth, now, if you have made a few search about them (like me), Raphael kinda was a surprise, for a really simple reason, he’s the only one not coming from Greece, indeed, our drummer come from Brazil. So what the link, you may ask. Well the answer is 42… wait no… it’s Maxi! Raphael (like Babis) played as a live musician for Visions of Atlantis, isn’t that a wonderful thing? “When there was nothing left but us, we came together. From distant corners of the scorched and ruined Earth, as remnant, persistent shards of life and light, we merged and melded in an atomic collision that shot us into the outer cosmos to safety and surety, where we rested and regrouped, determined to one day avenge our devastated home. But now the time has come to return. To begin again, to right the wrongs- To claim our place. Don’t tell me that didn't get you excited! Seriously, you had a few explosion and it’s a Michael Bay movie. Yeah, I can see the excitement in your eyes, but now, you want to listen to them, you want to dance on their song and destroy your neighbor's ears by singing along with Maxi, but how? Well, good news: they have finished recording their first album last month and Maxi announced the ablum was done yesterday, so you shouldn’t wait really long before having what you want. So, now you just have to go like their facebook page and tell them how much you want them to give Muses Of Metal a interview to talk about Jaded Star and everything they planned.